You can’t beat a bit of mug love! I have to admit I’m very partial to a great mug and my coffee doesn’t taste right unless it’s in the correct vessel. All of my family know that is a little obsession of mine and understand how fussy I can be. And as this has been going on for many years now they’ve grown accustomed to my love of a good mug. We have quite a collection and frequently have to re-jig and re-sort in order to make them fit the cupboard. I must admit I’m a bit fickle too and as soon as something better comes along I’ll drop the old favourite like a hot potato. So when Harlequin asked me if I’d like to take a look at the Scion Mug Collection, available in 4 different designs and 5 different colourways, I jumped at the chance. I love the patterns, which are very retro and cool and epitomise Scion’s fun and fashionable approach. Mr Fox – the ever-popular character who pops up across the Scion range. I’ve chosen the pink and orange colourway but they’re also available in duck egg and orange; charcoal and lime; indigo and charcoal and yellow. All bang on trend and all rather gorgeous. So what do we think? Well I love them. They are just the right size for a good cuppa, beautiful and delicate and lots of fun. 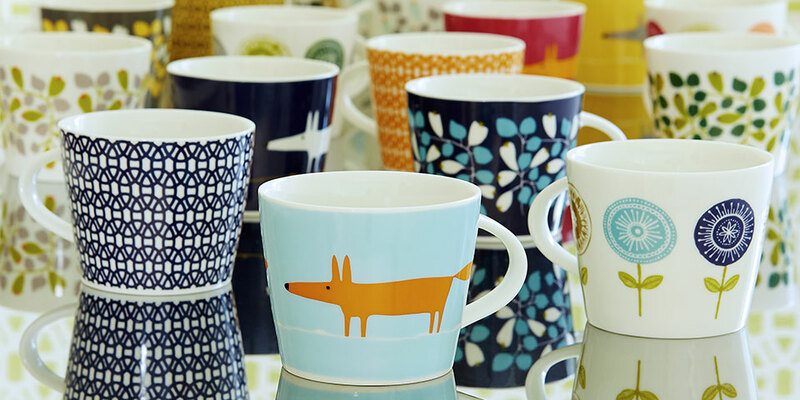 The man in the house thinks they’re a bit girly and he’s probably got a point – but it seems his mug of choice at the moment is Mr. Fox so I’m not too sure if they aren’t growing on him a little. Only time will tell. The mugs retail at £10 each and currently they’re available from makeinternational.com but soon to be available nationwide. Thank you to Harlequin Scion for sending me the mugs free of charge. The comments and opinions are genuine and honest however. Next Post John Lewis Launch New TV Ad – What Matters Most in your Home? 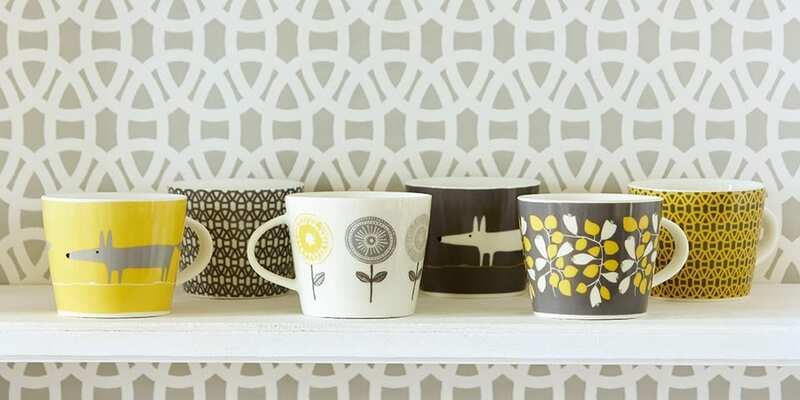 Adore the fox mug. I need one! Love the Scion collection, absolutely gorgeous!